My sister-in-law made this for us last week and I was reminded again just how much I love this cake! When the Pothiers get together for a birthday or holiday celebration it is a big crowd. 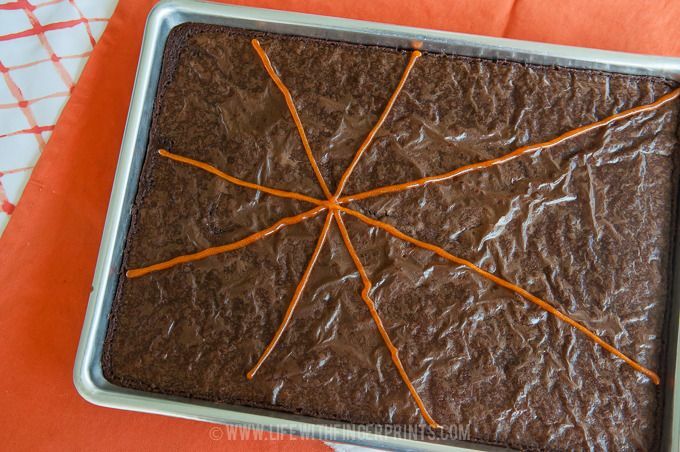 Typically the easiest way to treat so many people to dessert is to make a sheet cake. Depending on the RSVPs it may be one or possibly two sheet cakes. Most everyone is familiar with the traditional chocolate “Texas Sheet Cake”, and it’s a family staple. But last year my SIL Laurel decided to mix things up and bring a “Montana Sheet Cake” to a gathering. It has since been lovingly renamed sugar cookie cake (thanks to the almond extract) by our family and it is delicious. Two weeks ago I decided to make one while visiting my family in Idaho and just 5 days after it was devoured, my SIL had purchased the ingredients for me to make it again. It’s addicting if you like sugar cookies. 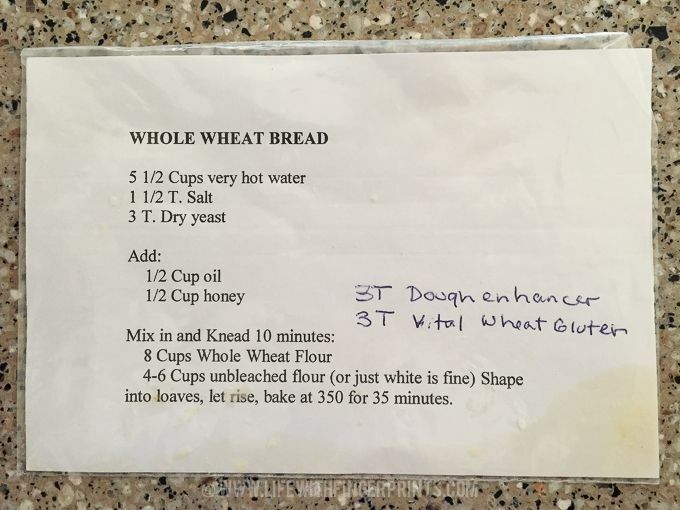 Here is the recipe from Laurel, from her friend, from her niece, from her monkey’s uncle. I love how recipes float around! Mix flour, sugar, and salt in a bowl. Heat butter and water in a saucepan until butter melts and pour over dry ingredients. Mix until smooth. Add eggs, soda, extract and sour cream, mixing after each addition. Bake in a half sheet pan (18×13) at 350 for 20 minutes. Heat all ingredients except sugar until butter melts. Remove from heat and add sugar gradually. 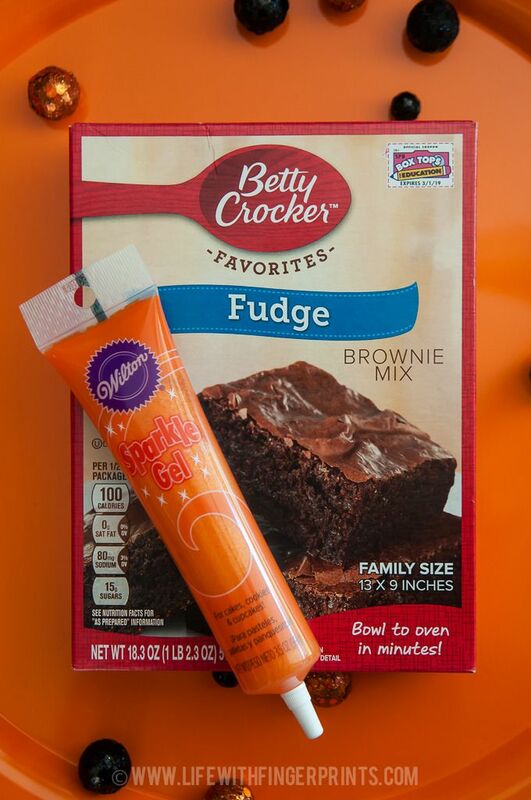 Let cake cool before topping with frosting. I make the frosting really thick. I like it to resemble sugar cookie frosting but you can alter it to your preference. Steve is a thoughtful son. A while back, Steve’s parents came back from Ghana for a family wedding. It was a short visit, only a week long, and we all knew they would be stretched thin to do and see all that they could in their short time. Steve wanted to spend time with his mom. 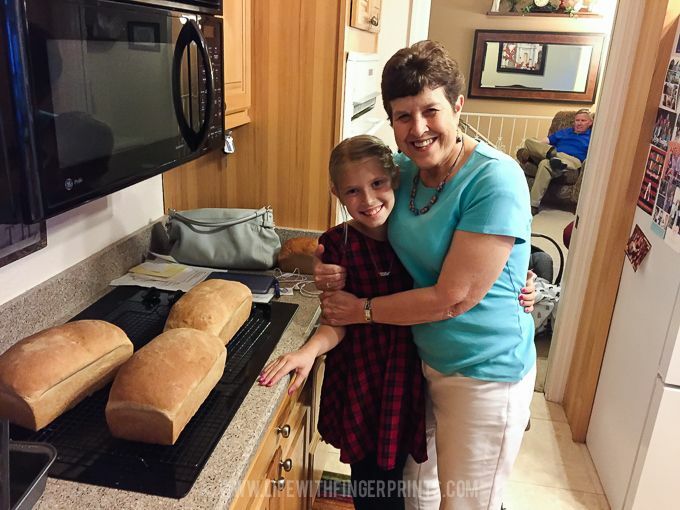 He also knew she would be making bread to enjoy the week while they were home. So he arranged to have her teach him how to make bread. An added bonus was bringing Hallie along and letting her enjoy the experience as well. She was all in. They spent the afternoon together. Talking and catching up and learning. Steve enjoyed his time. Hallie couldn’t wait to show me how her loaves turned out. And I’m pretty sure his mom enjoyed passing on years of experience in bread making to her son and granddaughter. And we all benefited with some delicious bread! My sister-in-law made us a delicious Sunday dinner of Chicken Tikka Masala after Briggs was born. 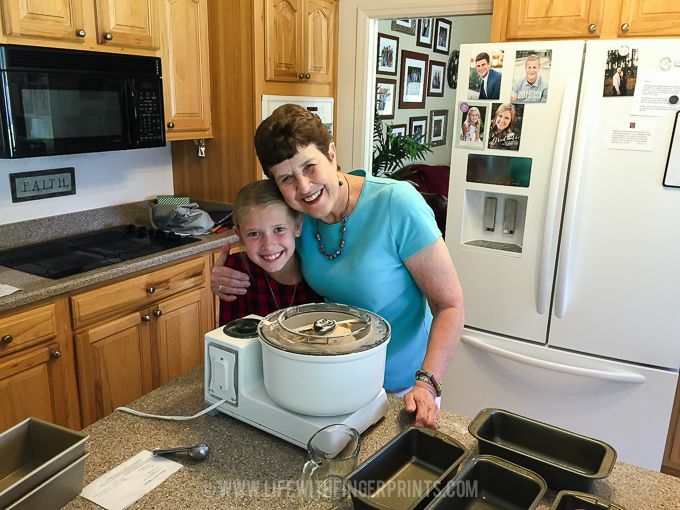 I know it’s one of their family favorites and it was delicious – we made it again not too long after and it was just as delicious and relatively easy. It’s a tad spicy – I thought it came from the jalapeño in the sauce but even the grilled chicken was spicy. 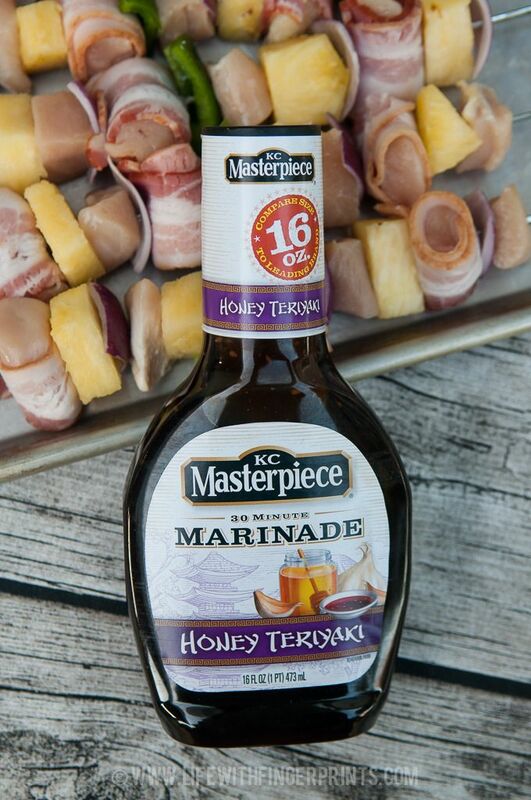 The marinade ingredients seemed completely random but they work – I could eat the grilled chicken on it’s own. 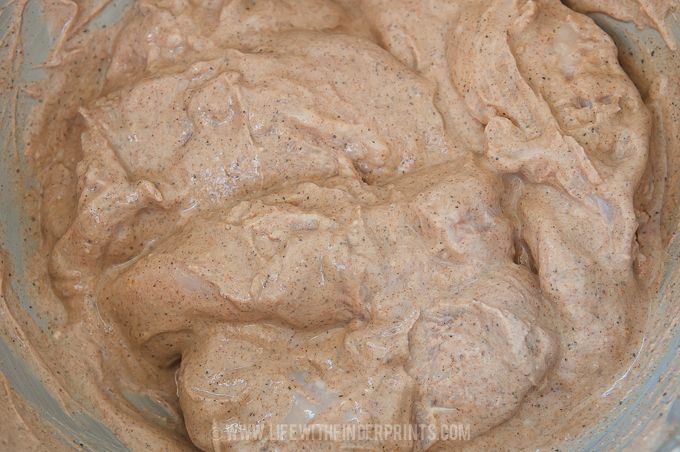 Combine all marinade ingredients, and coat chicken and refrigerate for at least an hour. Grill or cook the chicken and discard marinade. Melt butter in a large skillet over medium heat. Salute garlic and jalapeño for one minute. Season with cumin, paprika and salt. Stir in tomato sauce and cream. Simmer on low until sauce thickens (about 20 minutes). Add grilled chicken and simmer for 10 more minutes. 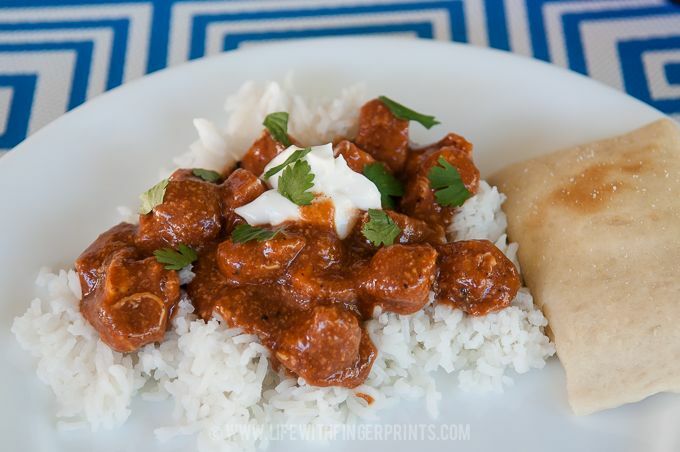 Garnish with fresh cilantro and a little plain yogurt or sour cream. 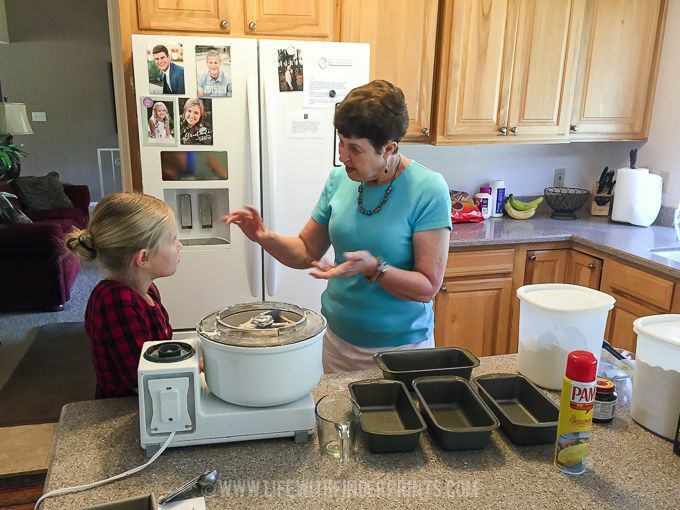 Serve over hot rice. Every winter, Steve and I both agree it’s the perfect weather for grilling and we try to cook out more often. 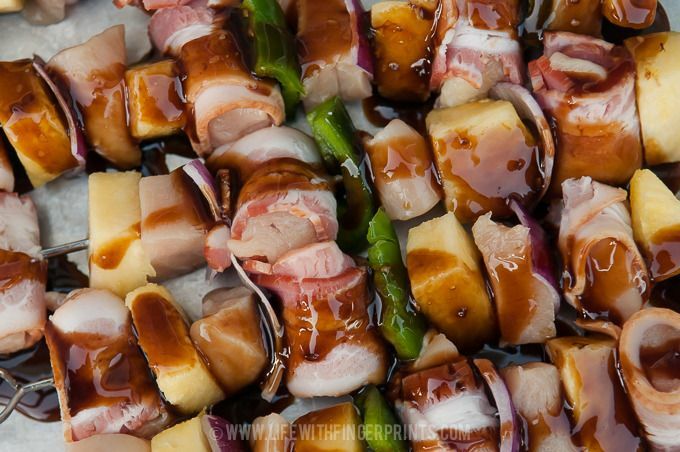 One of our family’s very favorite grill item is bacon wrapped chicken skewers. They’re simple enough that they don’t require a recipe – but fair warning, it can be time consuming to get everything chopped up and on sticks. 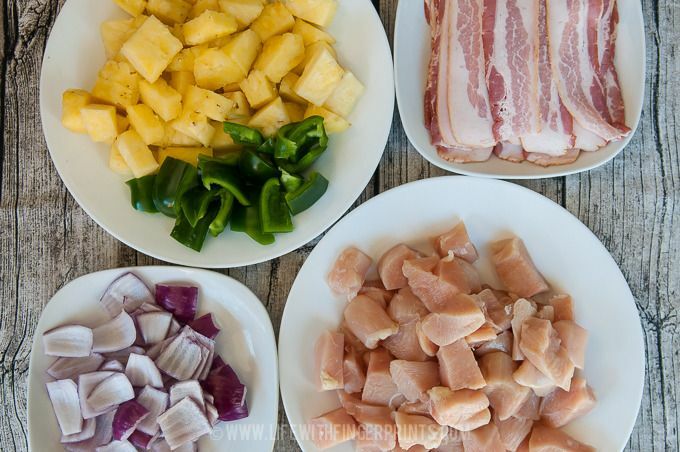 The staples are fresh pineapple, bacon, chicken, pepper and onion. I personally like tomatoes on them as well, but they don’t always make the cut. Cut everything into bite-size pieces; this includes cutting a package of bacon in half. (We make these often enough that I purchased metal skewers from Amazon which I prefer over the wooden skewers.) 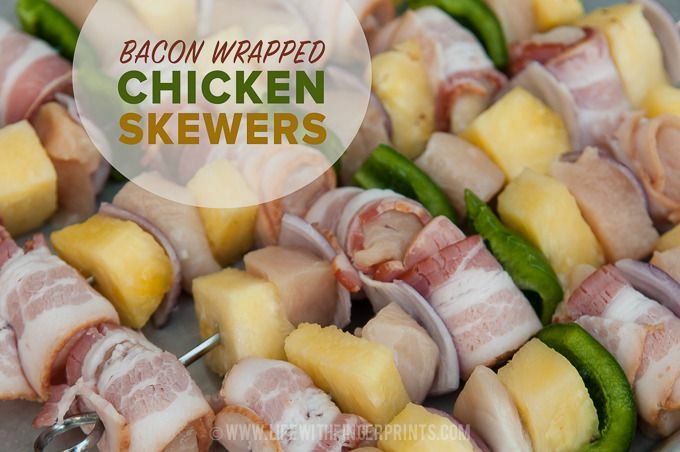 Skewer the pieces in whatever order you like – wrapping the chicken with a piece of bacon before adding to the skewer. Sometimes I’m a nice mom and I make separate skewers based on what the kids like and other times I make all of them exactly the same. I used to make a teriyaki sauce to marinate the skewers in, but then I found a sauce I liked better and I haven’t turned back. Refrigerate for an hour or two, or even longer if you have time and then cook them on the grill. Serve with rice and teriyaki sauce. If you want to get really fancy – ourbestbites.com has a recipe for lime cilantro rice with pineapple that compliments this palate quite nicely. There’s never enough time and never enough fairy dust to make everything fun and magical for the kids during the holidays. 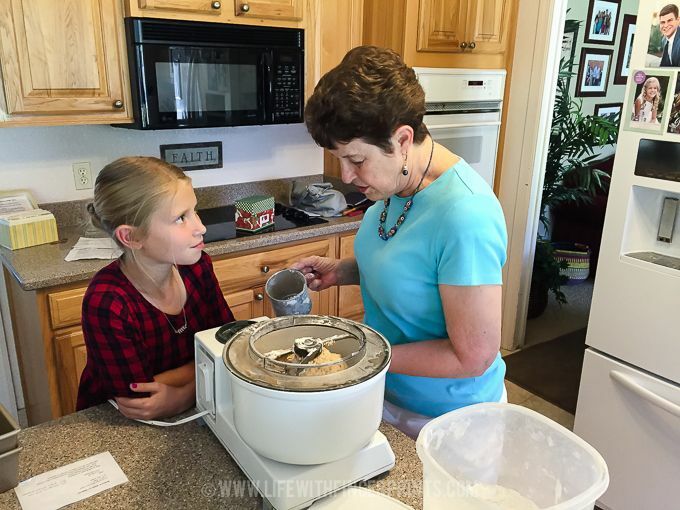 I often find myself caught between practical mom and fun mom so I’m always looking for shortcuts. 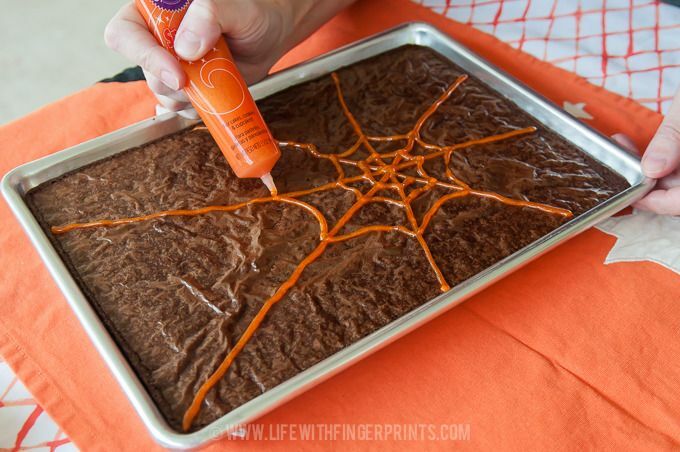 I discovered this shortcut 6 years ago preparing for Hallie’s 4th birthday party when I was running short on time and I needed a quick and easy Halloween treat. 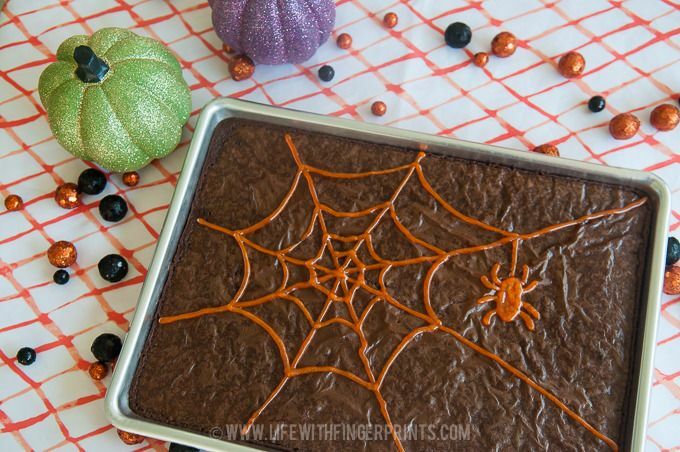 (So short on time that I even bought sheet brownies from Sams club!) It’s now an easy go-to when I’m looking for a festive treat and the generic mini-cupcakes stacked 10 rows high at Wal-mart just aren’t cutting it. You can find all the details in my post at HowDoesShe.com.